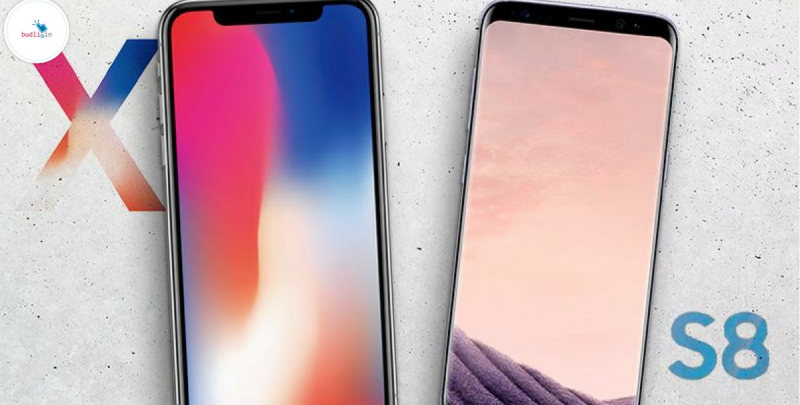 Is iPhone X better than the OnePlus 5 and Samsung S8? If you are here to see whether the iPhone X is better than the other flagships in the market right now then you should read this. First, let’s talk about the pricing of these flagship devices. The iPhone X comes with a price tag of Rs 89,000 (which the Apple CEO, Tim Cook says is “Value for money”) and on the other hand, we have the OnePlus 5, a flagship device from OnePlus which is priced at Rs 32,999 and Rs 37,999. That’s half the price of the iPhone X. Now, the Samsung flagship device Galaxy S8 will cost you Rs 53,900 in the market. As you can see the price difference between these smartphones is very high. Talking about comparing these smartphones head-on-head. The OnePlus 5 is very good in terms of Value for money, build quality, performance and OS optimization. But it goes back in the race of Camera quality. If you really compare the Camera of the OnePlus 5 with the S8 or the iPhone X. You can say that the actual war is between the S8 and the iPhone X.
OnePlus 5 is a pretty decent phone with a better price tag. Now, let’s get down to business and compare the iPhone X and the Galaxy S8. I really do not understand the reason for iPhone X to be priced so high. I mean, just look at the features. Both the iPhone X and S8 are water resistant, have amazing front cameras, great software optimization and all the other good stuff. iPhone X is being marketed on the basis of its face recognition feature. But, the S8 has it too. The edge-to-edge display on the iPhone X is similar to the Infinity display of the Samsung Galaxy S8. That does not mean they are same. The iPhone X has dual cameras on the back while the Galaxy S8 does not. But the iPhone X does not have a fingerprint reader (in case you like it) whereas the Galaxy S8 has a fingerprint reader. In the end, it is you who should decide whether it’s worth it or not. Also, your choice of operating system is a takeaway on this decision. Is it worth to put that extra money on the iPhone X when you can get all that for a lesser price? Let us know! Not everyone can buy these flagship smartphones. These devices are a way to heavily priced for normal to average users to get their hands on these kinds of smartphones. But there is a way using which you can get your hands on such flagship devices for a low cost. Refurbished smartphones is a solution! They are your saviours. Wonder how? Refurbished smartphones are the ones which have the same quality and are highly tested and fixed for any issues before they are sold in the markets. We budli.in are the leading marketplace for refurbished products in India. We have a range of products from smartphones, tablets to laptops. Head over to budli.in and grab the best deals before they are gone.